I have a confession to make - I am awful at blogging! Writing does not come easy to me - especially with two little boys in tow. I just can’t find the time to sit down at my computer, be totally un-interrupted, and hammer out all my work! This season of life is meant for playing on the floor with my littles, and I am loving doing just that! So my apologies to you, dear friends and readers, that this styled party we designed over a year ago - is just now seeing the light of day! I have decided to take a different approach this time, in hopes to help me hit that “publish” button faster. I’m going to just write out what I think about each photo, rather than focusing so hard on the body of my text, and if each paragraph leads to the next, etc. etc. Sometimes I wonder if people even read my blogs at all, or are just here to look at the pretty photos - which is totally fine. 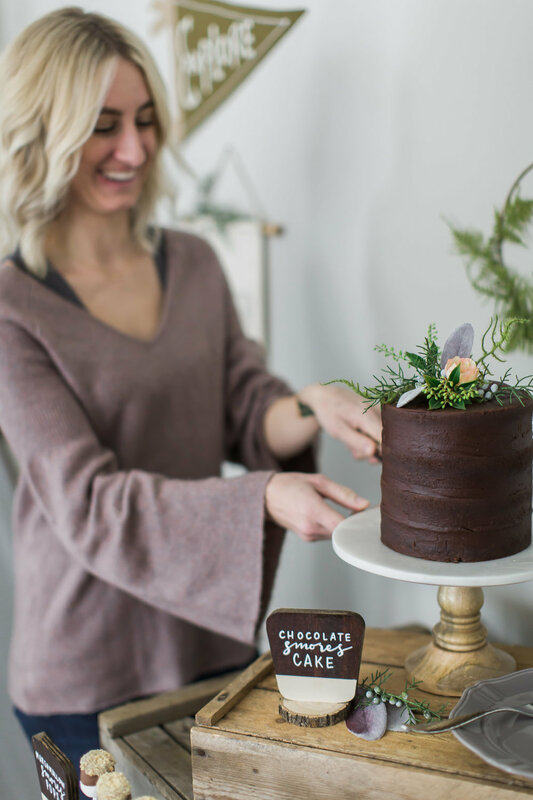 However, there were so many incredible vendors involved in making this baby shower as gorgeous as it was - and they need to be credited, and shouted from the rooftops how wonderful they are! So, without further ado, here is my unconventional blog (is there such a thing?) 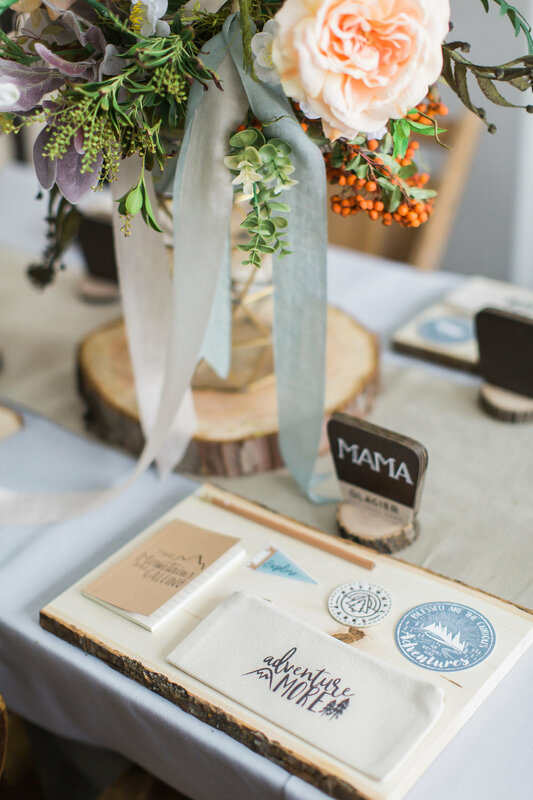 about my National Parks Baby Shower! How cool is this welcome sign that my good friend Josie of Chalk Chic Mama created?! My husband and I made all of the wooden signs you will see throughout the party to look like National Park Signs - well, they ended up looking like National Forest signs - which I wasn’t mad about, because my Mom worked for the Forest Service for about 30 years, so in a way, it was like a tribute to her, even though it didn’t completely match our theme, it was close enough for me. I believe Josie’s exact words were “You want me to draw what? !” when I asked her to do the welcome sign. I think I may have just laughed at her, because she has such an amazing talent, I knew without a doubt that she could pull it off, and boy did she! 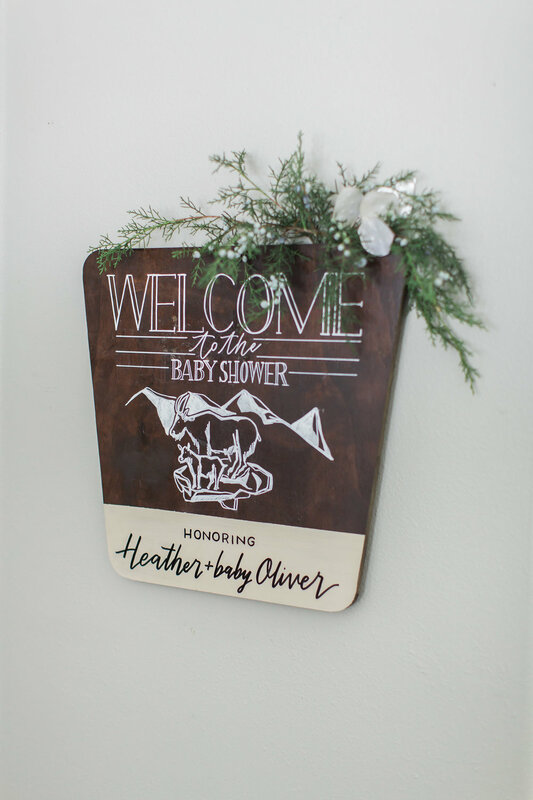 What a sweet sign to welcome guests into the baby shower! I just love the darling mama and baby goat, and still have this sign hanging up in the boys’s room! When I found these invitations from Minted, I was beyond excited! They reminded me of these National Park canvases I had hanging in my son Avery’s room from Anderson Design Group! They were a perfect fit, and I could now use the canvases as part of the shower decoration! 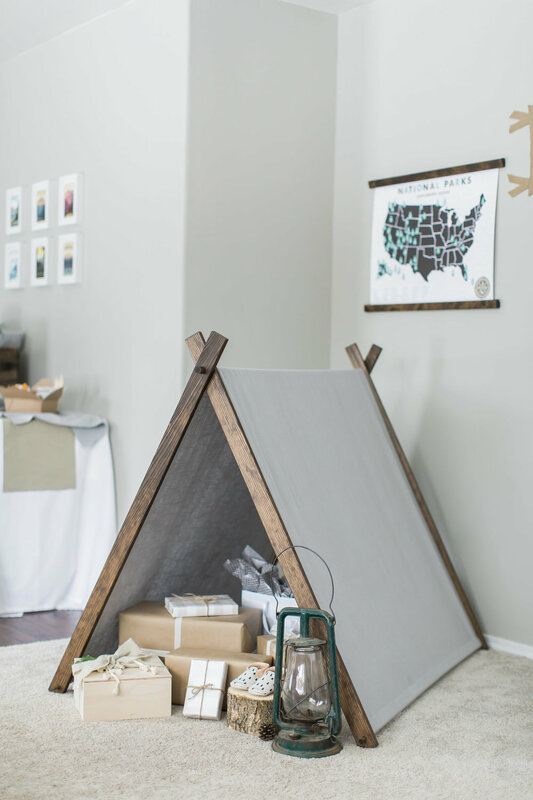 The original invitation had the baby hanging from a red knapsack which I didn’t care for - if you know me, I tend to stick to a neutral color palette - but Minted is so great, and they let you customize just about anything! Out went the red, and in came the gray! How fun are those vintage National Parks postage stamps? Maybe it’s just me, but as I’ve gotten older, I find myself totally appreciating vintage and historical things, and dare I say I’m slowly becoming a stamp collector! Haha! Hey, I’m sure I’m not the only one out there! As you might’ve guessed, Chalk Chic Mama beautifully addressed the envelope! These place settings might just be my favorite! 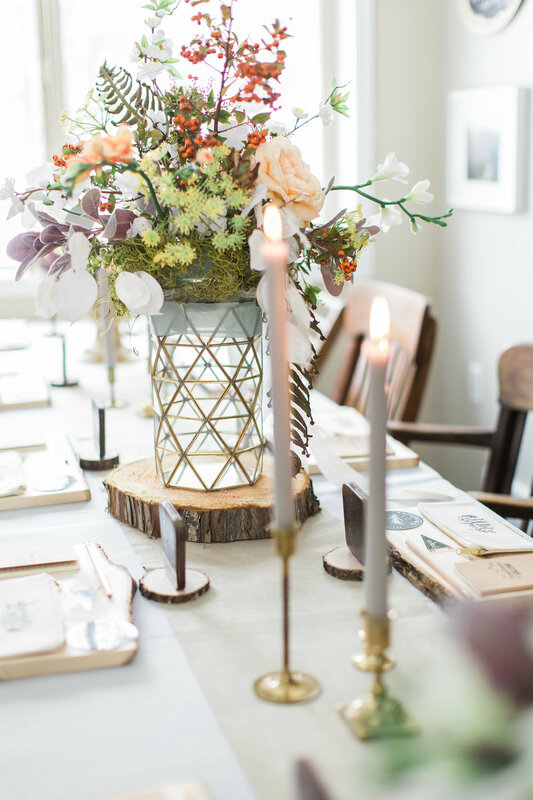 Using wooden slabs as placemats, I thoughtfully laid out favors for each guest - sure to delight any outdoor lover - which most of my friends and family members are! 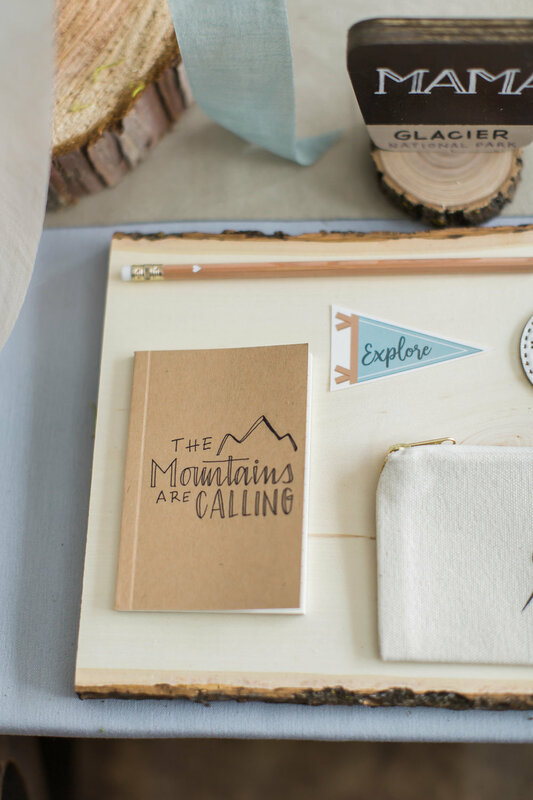 Each guest received a mini journal with a beautifully illustrated cover by Chalk Chic Mama, along with a simple white heart wooden pencil. Guests also received a darling “Explore” pennant temporary tattoo by Love and Lion, a National Parks patch from Ello There Outdoors, and a fantastic sticker from Borealis Adventure Co. with the wording “Blessed are the curious for they shall have adventures”. Lastly, was an adorable “Adventure More” canvas pouch from The Cotton and Canvas Company. The favors were definitely a hit! 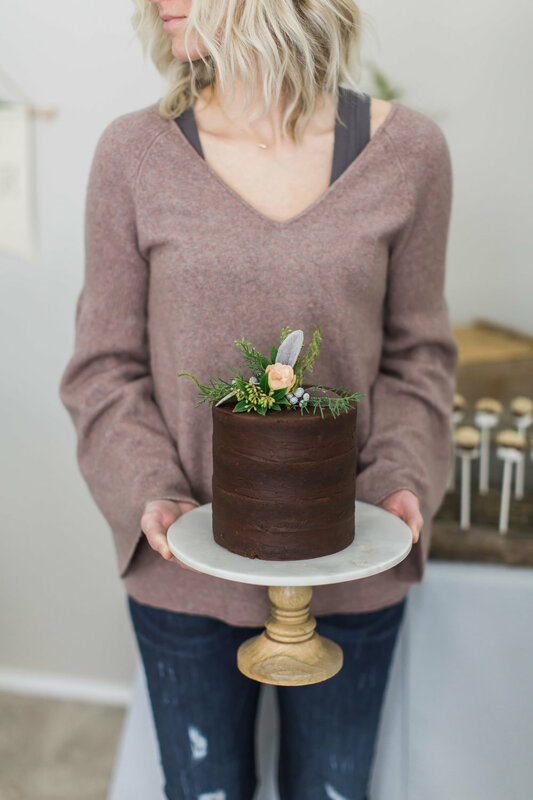 My sweet friend Tennille, of Modern Pod Floristry designed the most beautiful floral arrangements for the event! 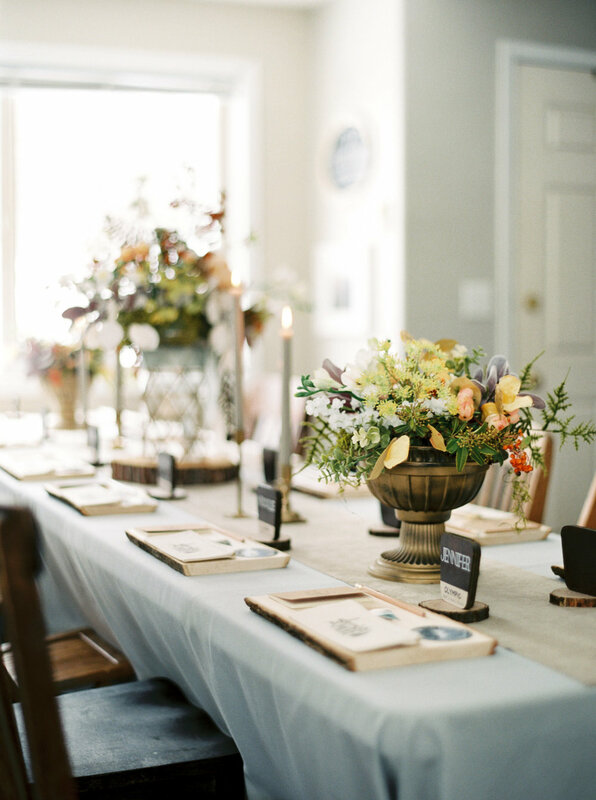 Prepare to feast your eyes on some serious prettiness - our version of a rustic, yet elegant tablescape. 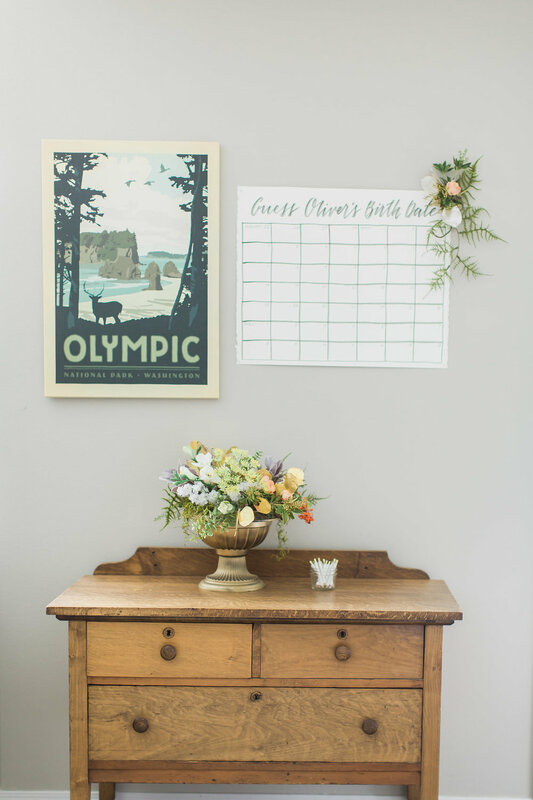 To find their seat, each guest found their name, along with the name of different National Parks on sweet little miniature National Forest signs we created. We screwed the signs onto little wooden rounds to add a little bit of outdoorsy flair, and to help them stand up straight. I just adore how they turned out! 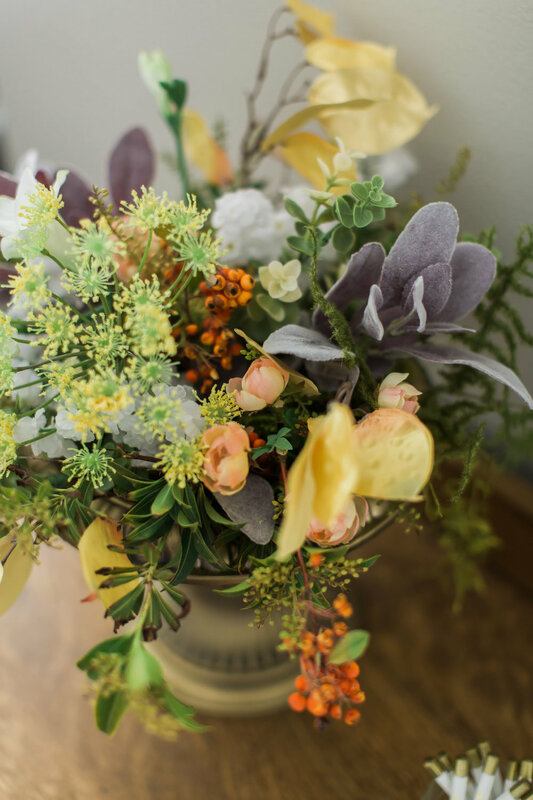 How gorgeous are those flowers designed by Modern Pod Floristry?! I absolutely adore her work! 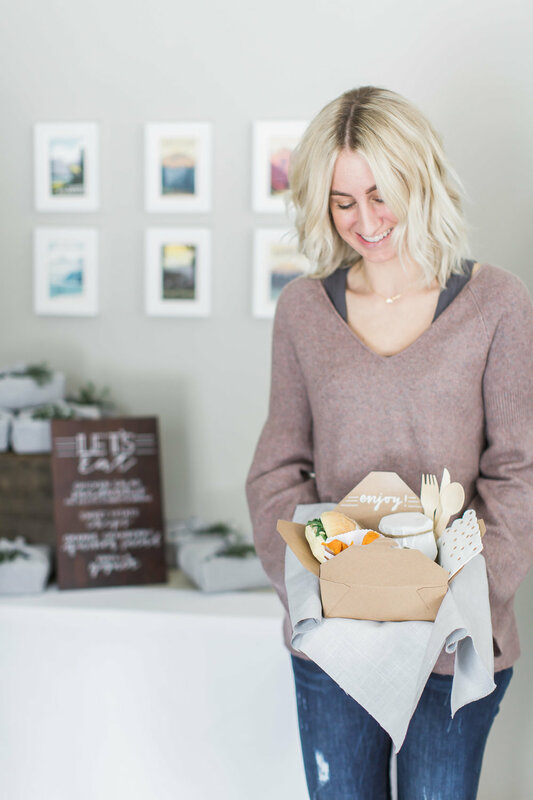 Staged as if you were about to have lunch outdoors while visiting one of your favorite national parks, were “grab and go” picnic style lunch boxes! Aren’t those the cutest things you’ve ever seen?! I especially loved the gray linen fabric, which then doubled as a napkin! Chalk Chic Mama totally perfected the menu sign. Simple and sweet. 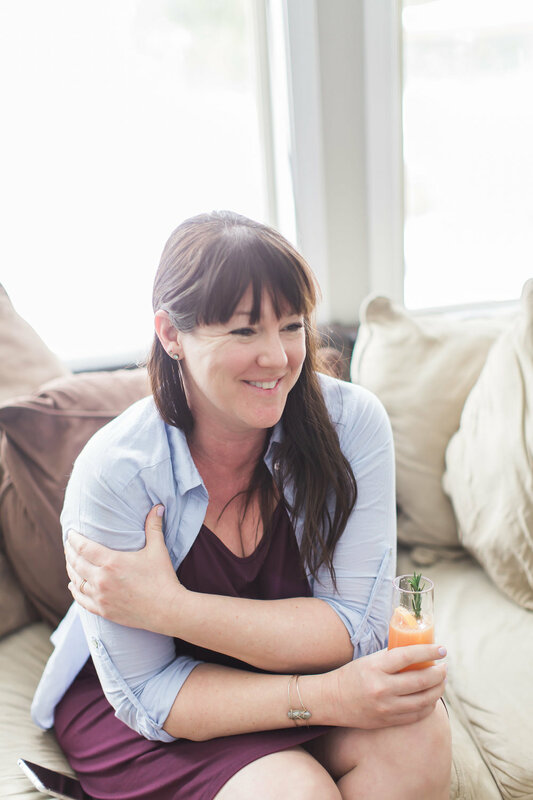 It’s always fun to have a specialty cocktail at any party, and these grapefruit rosemary fizz drinks were just the ticket! Made with freshly squeezed grapefruit juice and sprigs of rosemary, they were not only pretty, but could be made non-alcoholic too! Above is one of the aforementioned canvases from Anderson Design Group. The perfect complement to our theme, and another amazing sign next to it, by Chalk Chic Mama. 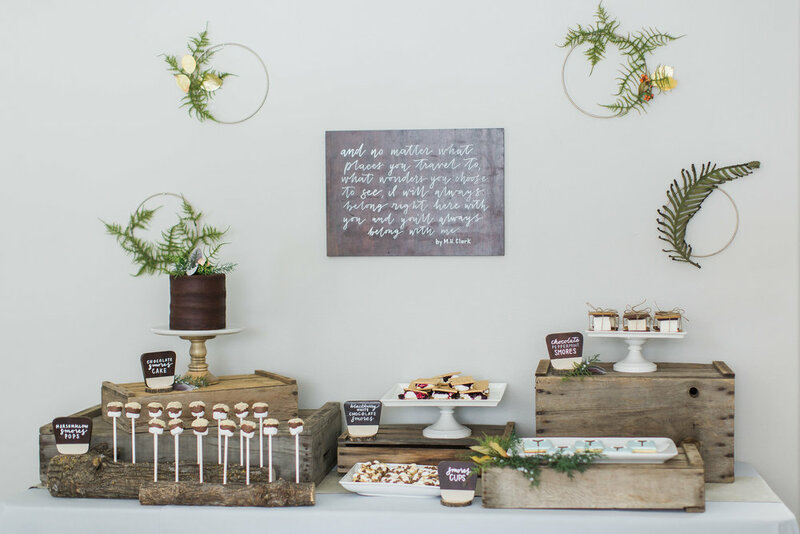 Ah, the dessert table! One of my favorites for sure! Tying in with visiting our National Parks, I thought it would be fun to have a s’mores themed dessert table! We had a delicious s’mores flavored cake from Cupcake Blues, traditional s’mores, delectable blackberry & white chocolate s’mores, mouthwatering s’mores cups, and marshmallow s’mores pops! The log holders for those really made them pop and was so fun - I loved the whole setup! 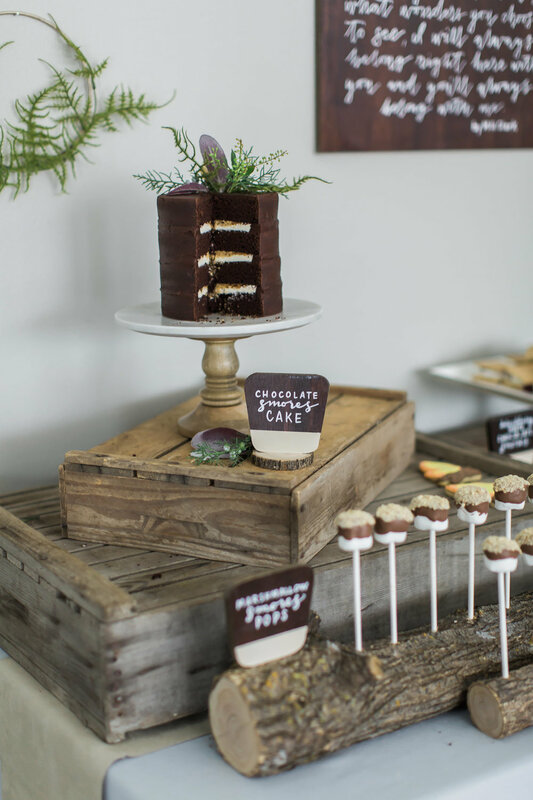 Marshmallows on sticks & little campfire cookies from Prep & Bake were also a sweet favorite of mine! Is it possible to have too many favorites from this party?! I thought it was very fitting for our theme, and such a special keepsake that my children will grow up with. Another special keepsake that my boys will be able to enjoy, is this darling little tent that we made. Tying in with the National Parks theme, this tent housed all of the gifts for the shower. I love that our boys will be able to play in, and enjoy this tent for years to come! Above the tent I placed the coolest National Park map from Ello There Outdoors, a wool explore pennant flag my mother-in-law made, and a canvas banner I sewed in which Chalk Chic Mama wrote Oliver’s name on. Inside the tent were the cutest forest moccasins from Minimoc - ideal for our soon-to-be little adventurer. 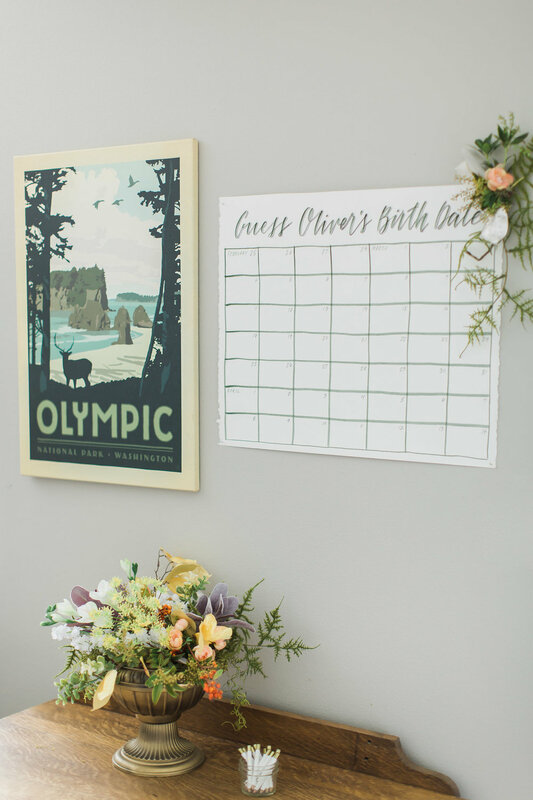 I’m not into corny baby shower games, and with this being my second baby shower, I wanted to do something different than I did the first time around, so I decided on a “Guess The Birth Date” game. Of course Chalk Chic Mama beautifully wrote out this sign - and fun fact - she was the one who ended up choosing the correct date that our little Oliver was born on! One of the sweetest gifts I received at the shower was a Haven & Pine Labor & Delivery Box! Intended to create a special space inside your hospital/delivery room, this box was filled with many heartfelt items! I received a suede pouch (hanging dots included) holding a hand-lettered banner with our baby's name on it. There was also a darling newborn hat, a pair of fuzzy cream socks, a linen pouch holding hand sanitizer, lotion & lip balm, a custom 'Wonderfully Made' printable for baby’s hand & footprint, and their signature twinkly lights (batteries included) All of these sweet items come inside an adorable keepsake wooden box. I certainly felt spoiled, and ready for delivery! Oh my goodness did we have an incredible day celebrating our sweet little Oliver! A huge, heartfelt thank you goes out to Nicole Conner for her keen eye and stunning images from the day!